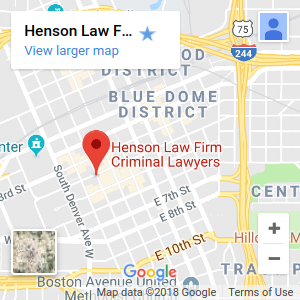 If you are under investigation or have already been arrested for an Oklahoma drug crime, it is important that you contact a Tulsa drug crimes lawyer at the Henson Law Firm as soon as possible. Oklahoma has some of the strictest drug laws in the nation and you need to aggressively fight your drug charges. The police gathered evidence against you. The district attorney’s office will zealously prosecute your case. It is important that you retain a Tulsa Oklahoma drug crimes lawyer who will provide you with aggressive criminal representation in order to immensely increase the chances of successfully resolving your case. Some drug crimes, such as marijuana possession, may be charged as a misdemeanor but many Oklahoma felony drug charges carry mandatory prison time. Anyone convicted of a serious drug offense faces stiff penalties under Oklahoma criminal law. 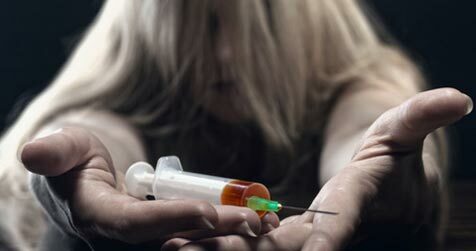 The punishment ranges for drug offenses vary, but a conviction may carry jail or prison time, punitive fines, loss of driving privileges, counseling, probation, and community service. A felony drug conviction can remain on your record for life. Depending upon the type and quantity of the drug seized, an Oklahoma drug crime may even be punishable by life in prison without parole. Oklahoma drug cases are frequently won or lost before trial. Tulsa drug lawyer Rob Henson will thoroughly investigate the facts and look at every aspect of your case, especially the initial arrest and the manner in which the evidence was gathered in order to protect your constitutional rights. Did the police conduct an illegal search? Was a proper search warrant issued? Were there mistakes made by law enforcement? In order to maintain the case against you, the prosecution must be able to admit the seized drugs into evidence. An Oklahoma drug arrest is usually the result of a traffic stop and is unplanned by the police. This means there is a good opportunity to suppress the evidence because of insufficient probable cause or an illegal search. If the evidence is suppressed, the prosecution cannot admit the evidence against you and the case may be dismissed. Contact Tulsa drug lawyer Rob Henson today!